It seems that as of version 8.3 of the ASA code, you have to have 2GB of RAM in your 5520 and 5540, a meager 1GB is necessary for your 5510. 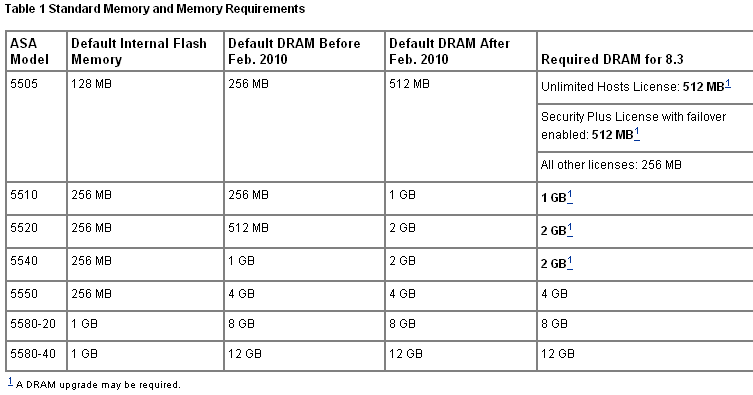 The funny thing is that prior to February, all of these devices shipped with only 512MB of memory…that’s a pretty significant jump, wouldn’t you say?!? !